Even if you pop out of bed with every intention of having a productive day, it’s easy to get derailed. Let’s be honest—who hasn’t gotten sidetracked first thing in the morning checking social media or reading up on what everyone thought of last night’s Walking Dead episode? Here’s the thing: How you kick off your morning can set the tone—and momentum—for getting things done throughout the day. So we’ve rounded up six quick (because we know how important getting enough shut-eye is, too) and easy ways to jump-start your morning with power and purpose to set yourself up for a killer productive day. While we know it’s easier said than done to roll out of bed as the sun is coming up, budgeting some extra time to exercise in the AM can help give you lasting energy for the entire day. Research shows that fitting in a workout helps improve mental functioning and memory—helping to make you more productive. And did we mention it can also help keep you trim? A 2013 study found that working out before breakfast helps burn 20% more body fat than if you schedule a workout later in the day. Check out The New York Times’ “The Scientific 7–Minute Workout,” an at-home routine that features 12 high-intensity interval-training moves that use just your body weight, a chair, and a wall. There’s even an app for it so you can exercise anywhere, anytime—even in your pj’s. Convinced you don’t have the time or the discipline to meditate every day? Well, if you can spare 120 seconds, you do. While that may not sound like much time, multiple studies have shown that even brief doses of meditation come with a slew of benefits that can boost your career—from making you cognitively sharper and more focused to improving decision-making. Zen Habits blogger and best-selling author Leo Babauta recommends sitting still and, for just two minutes, keeping your attention focused on your breath as it comes into your body and goes out. Babauta explains that these small bouts of meditation each morning can help you feel a bit calmer, less distracted, and less reactive during the day—especially when work stress creeps up on you. Not bad for two minutes of your time, right? We all have mile-long to-do lists that we semi-diligently try to tackle each day, but a surprising productivity secret is actually doing the opposite-thinking of things that, no matter how much you may want to do them, you can skip doing for 24 hours. Make a short anti-to-do list of typical time wasters you want to avoid that day, recommends Carson Tate, author of Work Simply: Embracing the Power of Your Personal Productivity Style. Maybe your list includes dodging unnecessary meetings or even limiting the amount of time you spend on that ultimate time waster—email! While you probably can’t go email-free for too many hours of the day, Tate suggests at least not starting your day by checking email. The “5 AM Miracle” is a weekly podcast that’s dedicated to “dominating your day” before breakfast by focusing on healthy habits, personal development, and productivity. “Waking up with intention, with a plan and with a solidified purpose can make a dramatic difference, not only in your day but more importantly in your future success,” host Jeff Sanders notes. Tune in to a new podcast once a week or download one of the 100-plus shows from the archive. Rolling up your sleeves to hand wash a sink full of dirty dishes from last night’s dinner may be the last thing you want to do first thing in the morning, but a recent study found that mindfully cleaning dishes—in other words, staying in the moment while scrubbing away—reduced anxiety and made study subjects feel more inspired. Who doesn’t want to kick off their day this way? But in order to truly reap the benefits, you have to do it right. Buddhist monk “Thich Nhat Hanh suggests that, while washing dishes, we should only pay attention to the experience of washing dishes and attend to the full sensory experience—the warmth of the water, the scent of the soap, the texture of each dish or utensil,” explains the study’s lead author, Adam Hanley. Hanley chose to study dishwashing because it’s such a common task and so sensory-rich—and subsequently found that study participants who mindfully washed dishes reported a decrease in nervousness and a boost in inspiration. Meanwhile, another group that simply washed dishes without practicing mindfulness didn’t experience any emotional changes—just clean plates. We make choices all day long—from picking an outfit to deciding how to approach a major project at work. The problem is that making one decision after another uses up mental energy, leading to what’s called “decision fatigue,” which means you may have already used up your best brainpower for the day by mulling over the options for your AM latte. But there’s a way to combat decision fatigue—with one simple to-do. When you wake up and you’re at your freshest, “decide on the one or two things you want to accomplish,” Tate says, adding that even if you just spend a few minutes doing this, you’ve still prioritized your day. And to help keep your decision-making sharper for longer, consider creating a morning routine that minimizes decision-making, such as eating the same breakfast each day. The computer industry was hit hard. Last month saw a surge in layoffs, primarily due to large-scale employee cuts at companies like Hewlett-Packard. U.S. companies laid off 58,877 workers in September, according to data released Thursday by Challenger, Gray & Christmas. September layoffs are up 43% from August when about 41,000 workers were let go. In total, employers have announced 493,431 planned layoffs so far this year, a 36% jump over the same period last year and 2% more than the 2014 total. “Job cuts have already surpassed last year’s total and are on track to end the year as the highest annual total since 2009, when nearly 1.3 million layoffs were announced at the tail-end of the recession,” said John A. Challenger, CEO of Challenger, Gray & Christmas. The computer industry accounted for the heaviest job cuts in September primarily driven by Hewlett-Packard, which said it would cut 30,000 jobs. The job losses, which were announced in mid-September by CEO Meg Whitman, should save the company $2.7 billion annually and represented about 10% of the company’s workforce, HP said. Building a network of people that you don’t get along with is completely pointless. The Leadership Insider network is an online community where the most thoughtful and influential people in business contribute answers to timely questions about careers and leadership. Today’s answer to the question: What’s the best way to network? is written by Scott Kriz, CEO of Bitium. When I was fresh out of college, I used to attend events and come home with a pile of business cards, trying to figure out how each person could benefit me in my career. Guess how many of those turned into valuable relationships? Not one. Realizing this, I stopped bringing cards with me to events. Instead, I started attending events with smaller groups of people and focused more on getting to really know everyone on a personal level. Over time, I found that people with whom I shared common personal interests tended to provide more value than those with closer professional ties. While I love sharing stories, I have never learned anything by hearing myself talk. So I try to focus on learning from other people’s experiences by taking a genuine interest in that person and asking them questions instead. For example, a few years ago, I found out the CMO from Microsoft had retired and was living in Southern California. Marketing has always been an area that fascinated me because it didn’t come naturally. I wanted to learn about marketing from the top mind in B2B marketing software so I could better understand it for my own business. Through my network, I found out that she was going to be at a local accelerator event so I decided to attend as well. It’s amazing how generous people are with their time and their knowledge when you express genuine interest. Mich Mathews is now an investor and board member for Bitium–and a close friend of mine. Building a network of people that you don’t get along with is completely pointless. Every one of us has our own opinions, tastes and tolerances. Spend your time with people you like and you will find natural alignment. When I started my current company, I was lucky enough to have a co-founder that I had enormous respect for both personally and professionally. We wanted to hire the smartest employees, of whom we also enjoyed working with. Everyone on our current team has been hired through a personal or professional connection. I’m proud of this, not only because I love what we do as a company, but because I love the people that I am building the company with. Some of the best networkers that I know are busy and overcommitted by nature. In order to leverage their networks appropriately and get the introductions I want, I’ve found that the less intrusive and more specific that I can be, the more likely they are to help out. Put yourself in the shoes of the person who is being solicited and read the content of the email as if you are that person. Make your email request is concise, specific, not completely self-serving and most importantly, easy for them to forward on to the person you want an introduction to. Help them help you. Remember that everyone is just a person, no matter what they have achieved or how well-known they are. It’s easy to get star struck when meeting someone you’ve read about or who is considered a ‘celebrity’ in your industry. Approach them like you would anyone else at an event. Too many times people try to force a conversation because they really admire someone and want nothing more than to be associated with that person. Relax, have fun and don’t try to foster relationships that aren’t natural. Read all answers to the Leadership Insider question: What’s the best way to network? How to work a room at an important networking event by Carol Leaman, CEO of Axonify. The one question you have to ask everyone you network withby Clark Valberg, CEO of InVision. 3 signs you’re a serial meet-and-greet networker by Shadan Deleveaux, director of sales multicultural beauty division at L’Oréal USA. Forget what you know about networking. Do this instead by Jim Yu, CEO of BrightEdge. 3 networking mistakes you don’t know you’re making by Dan Finnigan, CEO of Jobvite. Why face-to-face networking will never go out of style by Kevin Chou, co-founder and CEO of Kabam. How to effectively network (even if you dread it) by David DeWolf, president and CEO of 3Pillar Global. The only thing you need to keep in mind when networkingby William Craig, founder and president of WebpageFX. Why social media alone won’t get you a job by Gary Vaynerchuk, co-founder and CEO of VaynerMedia. NYSE President: I owe every job I’ve ever had to networking by Tom Farley, president of the NYSE. 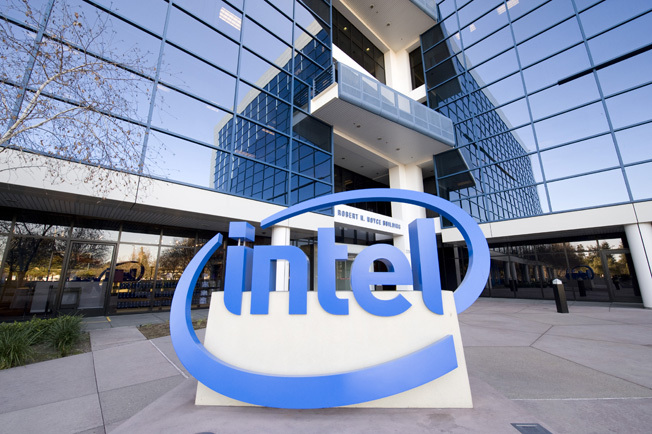 Intel just made a notable change to its employee referral bonus policy. Refer a candidate who doesn’t look like the majority of its current workforce—predominantly white and predominantly male—and they’ll get more money. The giant chipmaker will pay up to $4,000 if a candidate is a qualified woman, veteran or minority, according to a plan detailed by the Wall Street Journal. Can toys and cartoon characters really make you a better leader? Surprisingly, the answer is yes. That’s the word from Seth M. Spain, assistant professor of organizational behavior at Binghamton University. He and his colleague Peter Harms have turned their analytic skills on the Transformers, the popular Japanese-American toys, comic books, animation, and movie characters that can turn themselves from robots into vehicles and other types of machines. Spain and Harms found that the lessons in their character descriptions are full of wisdom about what makes a great leader. The two put together a database of each Transformer characters using the toys’ rankings and “my painfully extensive knowledge of the cartoon series,” Spain says. They published their findings in a Psychology Today blog post titled “What Would Optimus Prime Do?” In it, they make the argument that emulating the leader of the Autobots (the good Transformers) really can improve your leadership skills. Leaderless, flat, and more democratic organization structures are getting lots of attention these days—mostly because they work surprisingly well and sometimes outpace the competition. That’s because removing management layers and the high salaries that go with them allows such companies to run leaner and more efficiently. One outstanding example of a really bad follower is Starscream, a lieutenant in the Decepticons. “He’s constantly plotting to overthrow the leader Megatron, but Megatron keeps him around for some reason, even though he often tells him he’s not smart enough to be a leader.” That strategy backfires in an early animated episode when the Decepticons are about to defeat the Autobots until Starscream mucks things up with an assassination attempt against Megatron. Caring for others may be the most important attribute that sets Optimus Prime apart from Megatron. “Optimus Prime is constantly trying to make sure his followers are OK, and that human beings aren’t harmed in the fights between robots,” Spain notes. Compassion and integrity are vital traits for a leader, he adds. In other words, try asking yourself “What would Optimus Prime do?” It really can lead you to the best decision. Below is a chart of Wisconsin colleges and universities from lowest to highest tuition cost. Getting what you want is often exceedingly difficult. Everyone knows what it’s like to want something: a promotion at work, a date with your crush, an extension on That Impossible Problem Set, an expedited premiere date for Season 6 of Game of Thrones. But when it comes to actually asking for the things we desire, most of us hit a wall. We tend to succumb to stress, nerves, anxiety, or some terrifying combination of all three, in fear of being labeled as overly pushy or too demanding. Asking for what you want is a crucial part of life, and the more you practice, the easier it becomes. According to Dan Johnston, the 25-year-old co-founder of online tutoring company InstaEDU, the most important element in successfully getting what you want is how you frame the question.